DAILY SKIN CARE ROUTINE. MAY TO JUNE. #3. BECKI. PART 2. MOISTURISING. | Life Looks Perfect. DAILY SKIN CARE ROUTINE. MAY TO JUNE. #3. BECKI. PART 2. MOISTURISING. Here is the second part to my daily skincare routine (sorry for the delay been a tad busy at work!). I hope you enjoyed reading part one, sorry if it was a tad long but I thought it worked best writing a mini review on the products. So here I go again....Part 2. For me this stage has always been a must. I hate using a moisturiser straight onto a freshly toned face. I always find my skin goes a bit sticky if I forget my serum. I have tried out a few different serum's as I wanted to find one that was best for me. I was over the moon when skincare brand Caudalie actually recommend me to use their Vinosource S.O.S Thirst Quenching Serum to help my skin feel more hydrated and hopefully look less patchy. With Hydralonic acid and 97% natural ingredients, this serum feels refreshing and light on my skin. The texture of this serum is quite watery, which is new for me as I usually use a gel-like serum. Since using this product, my skin looks more hydrated and plump and extremely moisturised. 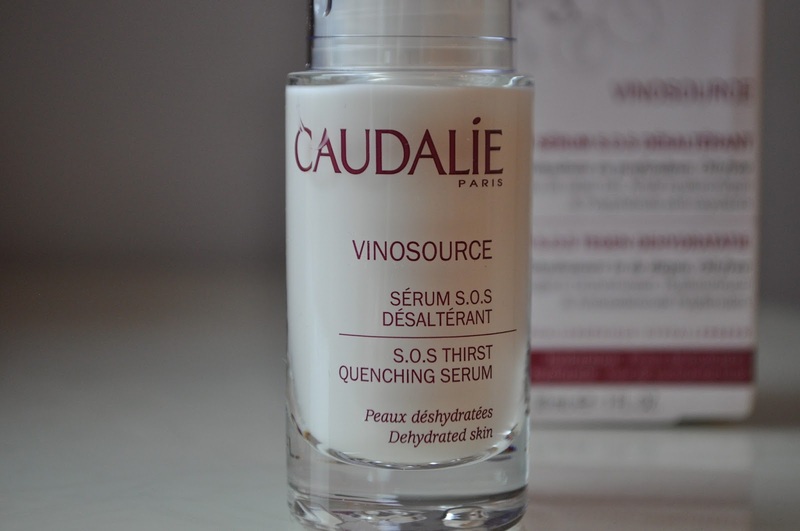 I really like the texture of this serum and I find it cools my skin in the morning and evening. I am a newbie to the brand Melvita and when I got the chance to try out a few of their skincare products, I was really excited. I have not been disappointed. I was lucky enough to try the hero product from Melvita's Rose Nectar Collection Moisturising Rose Nectar c/o. This beautiful packaged and scented moisturiser includes 5 active rose ingredients that helps to moisturise and lock in moisture. I adore rose scented product's, maybe it's the florist in me bringing work back home. This moisturiser has been fab for my skin, it keeps my skin feel soft and supple and 100% hydrated. The cream itself is light on the skin, which absorbs into the skin leaving me with an almost radiant glow. When ever I wear this moisturiser without make up, I have been complimented on how healthy and fresh my skin looks. Since adding this moisturiser into my morning routine, my skin has become plump and soft, which whether for applying make up or just going 'Oh natural' my skin feels great. I have always used an eye cream, whether just to moisturise and hydrate the skin around my eyes or to attempt to help "cure" bags! Well I am sure your aware that just a good night sleep should help fix that one, but I am wishing. 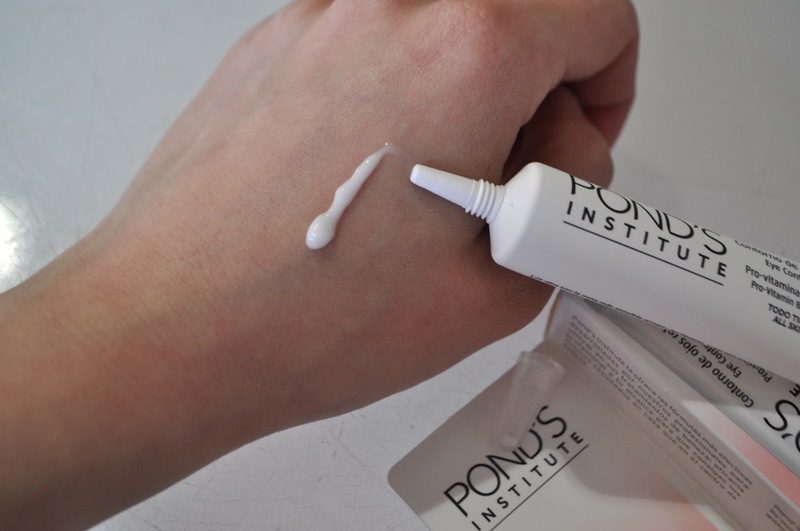 This little gem from Pond's Institute is a fab light and hydrating Eye Contour Cream c/o that instantly cools and keeps my eyes feeling refreshed and awake. It's light in texture and doesn't feel heavy or cakey once around your eyes. This eye contour cream is full of Vitamins to help improve your skins hydration and help reduce puffiness. I really like Pond's Institutes's range of skincare products as it does what it says on the tin and is simple and kind to my skin. Sometimes using too many different products on my skin does irritate my face, and Pond's is usually my trusty friend that sorts my skin back onto the right track. 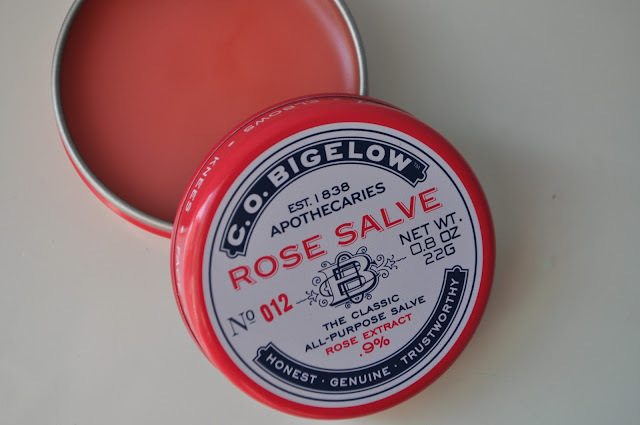 I have really become a bit addicted to this classic C.O.Bigelow Rose SalveNo 12 c/o, which I just pop on my lips after using my favourite lip scrub Lush's Mint Julips. It's a classic and basic lip slave that smells like a bucket of roses, which seems to be my new favourite scent. Although sometimes it is best to use fragrance-free skincare, I must admit, I love a good smelling product. I don't tend to suffer with bad reactions from fragrance and so I do like my skin smelling of roses! This lip salve has a lovely history with it too with it being made in the USA, this brand originally began in 1880. With a similar history to Kiehl's, I love the old style apothecary packaging and that the brand has been passed down from generation to generation and still remains a family business. This product is fab as it can be used on any areas of dry skin or your cuticles for example and with 0.9% rose extract to help sooth your skin. I only use this salve for my lips, as I don't suffer from dry skin but I think it would be worth testing it out. I finally must say that although, in the UK this is a little expensive but the pot is huge! A little goes a long way. 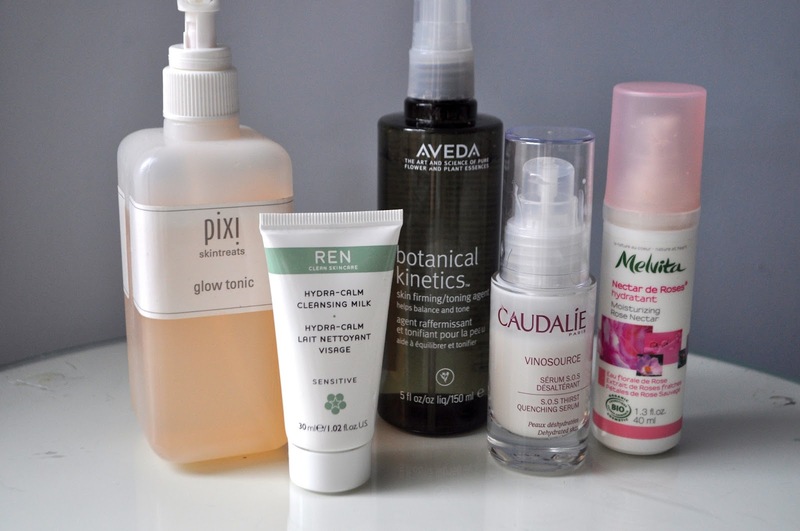 I hope you have enjoyed reading my rather hefty skincare routine posts! If you like the post, I am happy to write one each time I mix up my skincare routine, which is usually on a monthly basis! You can find Part 1 of this skincare review/routine HERE. 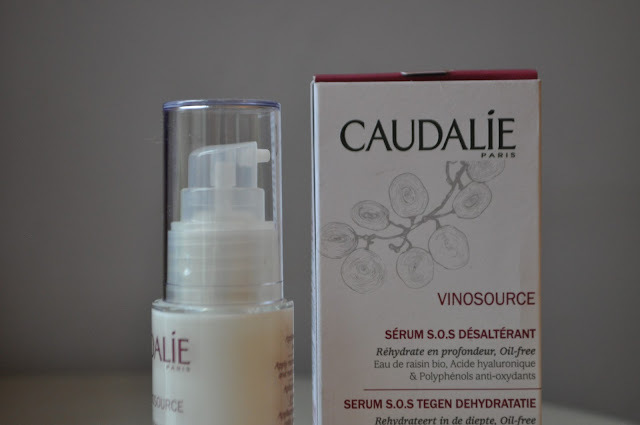 Caudalie Vinosource S.O.S Thirst Quenching Serum 30ml £29.00 c/o, Melvita Moisturising Rose Nectar £25.00 c/o , Pond's Institute Eye Contour Cream 15ml £7.99 c/o, Lush Cosmetics Lip Scrub Mint Julip 25g £5.25, C.O.Bigelow Rose Salve No 12 22g £5.99 c/o.